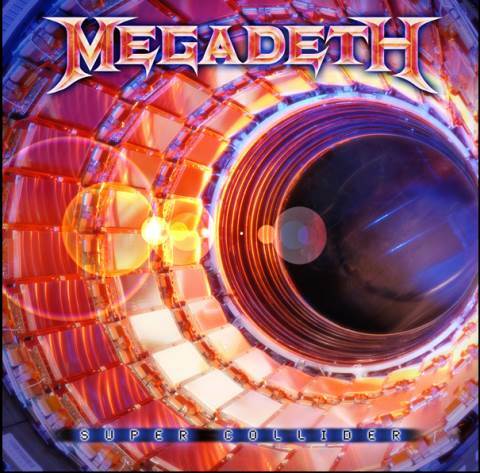 Megadeth’s new album, “Super Collider,” has debuted at No. 6 on the Billboard 200 album chart. Billboard reports the project sold 29,000 copies in its first week. The record was the final project recorded at Dave Mustiane’s Vic's Garage studio in San Marcos, California with producer Johnny K; the guitarist has since closed the facility and is moving it to another location. The “Super Collider” title comes from the world’s largest and highest-energy particle accelerator which allows physicists to smash atoms in the hope of discovering the origins of the Big Bang Theory. The actual device, considered one of the great engineering milestones of mankind, is pictured on the album cover, with permission from CERN (European Organization for Nuclear Research), which developed and built it.